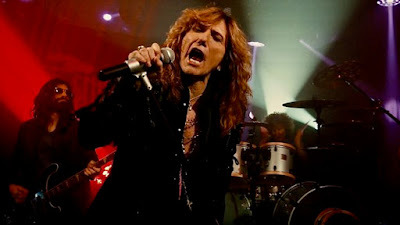 Whitesnake’s video for the 2019 single, “Shut Up & Kiss Me”, has topped over 1 million views in its first month on YouTube. Released on Valentine’s Day, the clip presents the lead single from the band’s forthcoming album, “Flesh & Blood”, which will see its release on May 10 while the group are in the midst of a spring US tour. Last week, the band released “Trouble Is Your Middle Name”, as the latest preview to the 2019 record, which will be available in multiple formats including CD, CD+DVD Deluxe Edition, 2LP sets in various colors, and a Super Luxury Boxset, which will deliver the CD+DVD Deluxe Edition, 2LP, a poster and a numbered lithograph.